It mattered more that so-called 'big clubs' such as Chelsea and Manchester City had had their noses bloodied by lower-league opponents. It’s likely that as final whistles were being blown to mark the end of last Saturday’s tumultuous FA Cup ties, millions of indigenous football supporters didn’t give two hoots about where Britain’s love of the underdog is rooted. It mattered more that so-called ‘big clubs’ such as Chelsea and Manchester City had had their noses bloodied by lower-league opponents. Famous victories for Bradford and Middlesbrough succeeded in rekindling our collective love for the FA Cup at precisely the time that football was in need of a boost. It was revealed last week that following a catalogue of alleged wrongdoing, corruption and wholesale bribery prior to FIFA awarding the next two World Cups to Russia and Qatar respectively, three additional top-tier commercial partners had severed their links with football’s governing body. Sony, which signed a £160 million deal to become one of FIFA’s partners in 2005 and Emirates Airlines, a sponsor since 2006 (it became a partner before the 2010 World Cup), each brought their contractual arrangements to an end following last year’s tournament in Brazil. The blue chip exodus continued last week when Castrol, Continental and Johnson & Johnson revealed that they would not be renewing their contracts. FIFA’s ten commercial partners pay between £25m- £30 million a year for a minimum of four years to join the game’s sponsorship élite, but so grubby and opaque (at best) are the World Cup’s host nation selection arrangements that companies with reputations to protect are increasingly reluctant to hand money over to an organisation described earlier this week as a ‘toxic brand’. Not surprisingly, Russia’s Gazprom signed as a FIFA partner in 2013 and Qatar Airlines are likely to replace Emirates, but these are companies lacking the cache of those that have left. In a week when ‘the magic of the Cup’ became once more a phrase capable of capturing football’s pure, unbounded joy came a salutary reminder that many of those charged with running the game remain as squalid and tarnished as ever. The International Tennis Premier League (IPTL), the off-season event launched last month by founder Mahesh Bhupathi, enjoyed a promising start, aligning the game’s stars, past and present, with four cities: Delhi, Manila, Dubai and Singapore. Two additional venues, Jakarta and Macau, will be added to this season’s list which has resulted in an extremely busy Mr Bhupathi whizzing around Melbourne this week, securing a series of lucrative deals with players’ agents. Some players attending the Australian Open may have wondered whether committing to an extra three weeks’ tennis is worth the effort. However, Mr Bhupathi and his burgeoning team of sponsors, impressed by the tournament’s TV audience figures, are believed to be offering what one source called “significant financial incentives” which suggests there’ll be no shortage of participants when the next ‘player auction’ takes place in Dubai on March 1. 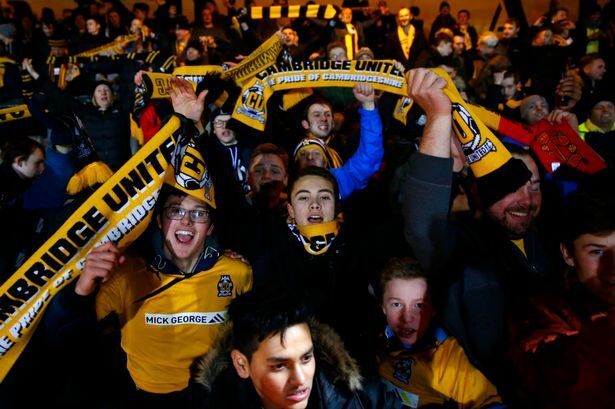 Manchester United’s decision to not reduce ticket prices for the visit of Cambridge United in next Tuesday night’s FA Cup replay received a mixed reaction. On the one hand, it seems that as Britain’s richest club is asking adult fans to pay between £31 and £53 to attend the tie, Old Trafford is unlikely to be full. On the other, had United copied the commendable actions of their near-neighbours Rochdale and reduced attendance prices (as Rochdale did for Monday’s fourth round duel against Stoke), the ground may have been full to capacity, although such an arrangement may not have satisfied Cambridge’s bean-counters. As each club takes 45 per cent of gate receipts – with the FA getting the remaining ten per cent – even a three-quarters full Old Trafford should still net the League Two club around £1.06 million.